From the origins of the court to modern practical matters--including the federal judiciary system, the Supreme Court's session schedule, and the argument, decision, and appeal process--this resource provides detailed answers on all aspects of the Supreme Court. 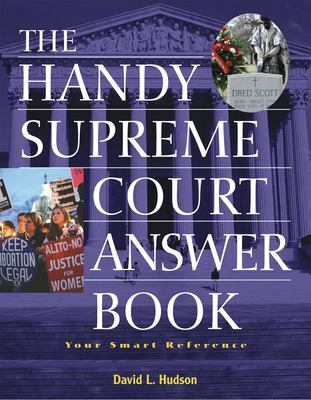 Exploring the social, cultural, and political atmosphere in which judges are nominated and serve, this guide book answers questions such as "When did the tradition of nine justices on the bench begin?" "When did the practice of hiring law clerks to assist with legal research and writing begin?" and "How do cases reach the Supreme Court?" Details on historic decisions--including "Marbury v. Madison," "Brown v. Board of Education," "Miranda v. Arizona," and "Bush v. Gore"--accompany a thorough history of all 17 Supreme Court Chief Justices.